nice design , good quality tee , good fit , I wish you made it in more colors ( I know you also offer it in black but I just do not care for black t-shirts ... I know , I am odd . 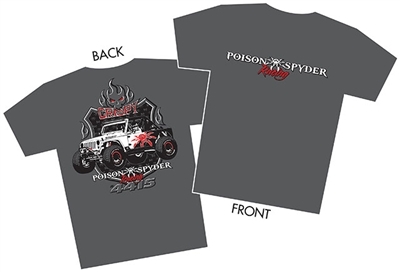 Just like all poison spyder products the shirt did not disappoint. It’s part of my regular rotation.